YouTube is one of the best sources for accessing latest videos about pretty much anything. Whether it is music, drama or simple guides, you will find every type of video. However, not always you will need a video to satisfy yourself. Audio of most videos matter a lot as well, maybe you want to listen to your favorite songs in your car or you just want to create a podcast. There can be many reasons why you may like to have an audio version of a YouTube video, and to your luck, there are many YouTube to MP3 converters available. 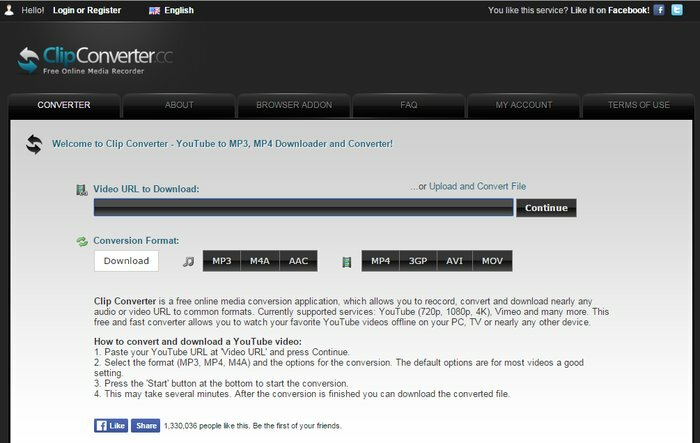 You can convert YouTube videos to MP3 or many other audio formats using free converters. In this post, we are going to list down 8 YouTube to MP3 converters that are simple to use and also free. Some of these tools also offer other functionalities, you should explore these tools further than what is explained below to take full advantage of them. 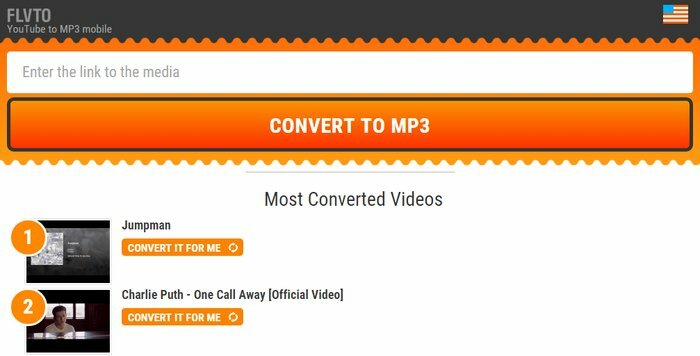 This might the simplest and fastest way to convert YouTube videos to MP3. The website has a simple interface with a single text field on top. All you have to do is copy/paste the URL of the YouTube video you are watching in this text field and click on “Convert Video”. If the video is short — like a music video — it will immediately show an MP3 download link, but a longer video may take a few minutes. The converted MP3 are of high quality with 128 KBit/s rates, and doesn’t require any additional setup for downloading the MP3. 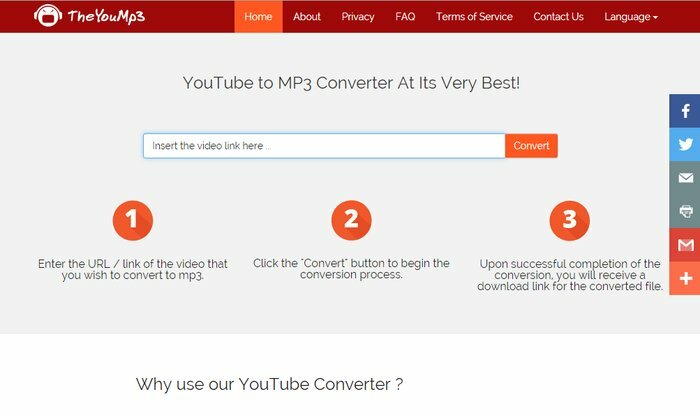 If you don’t want to come to the website every time you want to convert a YouTube video to MP3, you can also use YouTube MP3 Add-ons. It has add-ons for Firefox and Chrome that will add a download button right next to the video you are playing on YouTube. Another simple YouTube to MP3 converter tool that is fast and reliable. ListenToYouTube.com may require 1-2 extra clicks to get your download link, but it is also more attractive and functional. The process is same, you need to copy/paste the YouTube video URL in the text field on the main page and click on “Go”. The website will take a few seconds to convert your video and show you a link to the download button page. Once you will click the link you will see a download button and an option to preview the audio before downloading. You can check the quality of the audio using the preview panel and then download the MP3 file. 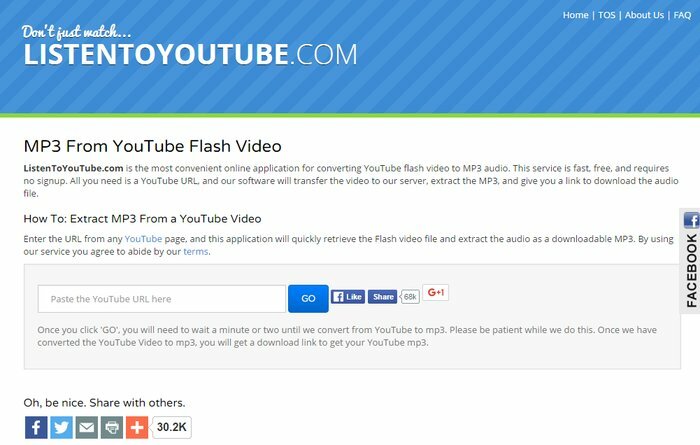 Looking for a simple, straightforward tool to convert your YouTube videos to mp3 files? YTmp3 allows you to do that rapidly and flawlessly without the need to install any kind of software onto your device. 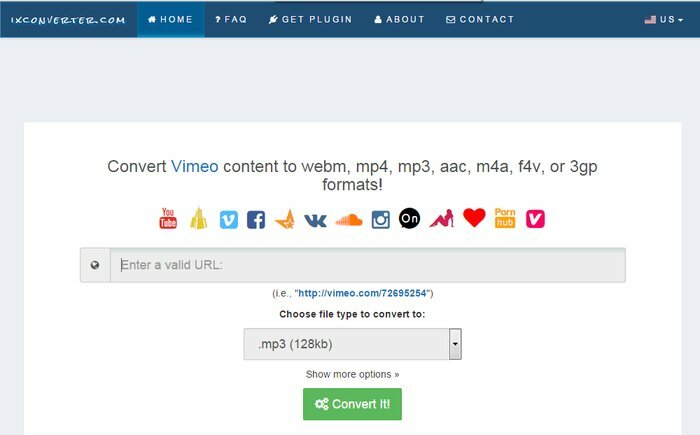 Intuitively insert the URL of your desired file into the conversion box of the YTmp3 homepage and press the convert button. All you need to do next is to simply select the download option and that’s all, the file will shortly reach your device so that you can enjoy adding it to your playlist and listening to it at your convenience, no internet connection required. On YTmp3.com you can also find suggestions of videos to convert, in case you’re out of ideas, and a rich, informative blog and how to section. Enjoy exploring it to the fullest! The above are just some simpler options to convert YouTube videos, if you are looking for a robust converter, then IXConverter.com is a great choice. It not only supports YouTube, but other video streaming websites as well, like Dailymotion, Vimeo, Metacafe and Vevo, etc. You just have to paste the link of the YouTube or any other supported video streaming website and start converting. It can convert the video into AAC, M4A, and MP3 audio formats, and you can select MP3 bitrate of 128 KB and 256 KB. Furthermore, you can also convert video to video formats like 3gp and MP4, and also increase the volume of the converted file. The converted video can edit afterwards and also saved directly to support cloud storage services. If IXconverter.com is a bit too much for you and you are still looking for a feature rich converter, then FLVTO is for you. It is a lot simpler and has quite an attractive interface. 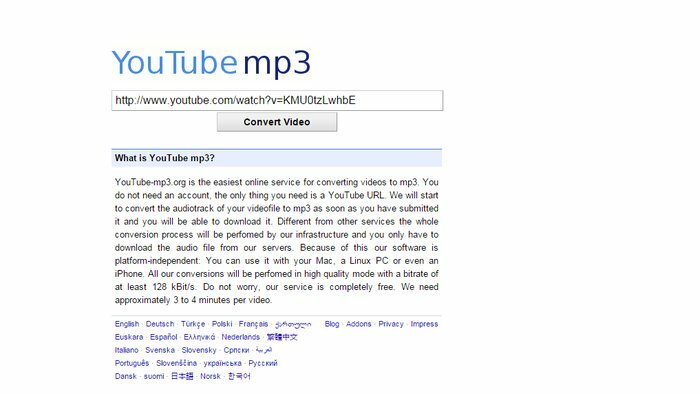 It can only convert YouTube videos to MP3, but it lets you save the video to your desired cloud storage service or download right inside the browser. You can even send the MP3 file as an email attachment if you like. A unique feature that you may find is “Most Converted Video”, which show all the videos that are being most converted on FLVTO. You can see what people are interested in and if you like something, you can click on the “Convert it for Me” button to convert that as well. However, it takes a bit more time to convert a video than many other converters listed here. This is a desktop YouTube to MP3 converter tool, which offers tons of features and an intuitive interface. Its main interface just has a search bar where you can enter the URL of the video which you will like to convert to MP3. You can use the same search bar to search for any type of songs or artist and it will show all the songs. The YouTube will be converted automatically when you will search for it and you will then be able to play it in the interface or download it. If you have more than one result, you can download all of the files with a single click. Additionally, you can share MP3 files directly to social media networks to let your friends enjoy it too. Another feature rich converter in our list perfects for advanced users. It offers tons of features, but at the same time it can be a little confusing as well (but not too much). You can paste the YouTube or any other video streaming website video URL or upload a video from your PC. After that you can select in what format you want to convert. The formats include, MP3, M4A and AAC for audio, and MP4, 3GP, AVI and MOV for video conversion. You can select the volume of the audio file and bit rate as well, with the maximum bitrate of 320 KB. The video time span can be edited before converting to only convert the area you want to listen to. Once you are ready, you can select video quality according to availability (not required for MP3 conversion), and then click on “Start” to convert it. The conversion is really fast with immediate results. A fast and simple YouTube to MP3 converter, TheYouMP3 is quite similar to YouTube MP3 when it comes to functions. You simply need to enter the URL of the video you would like to convert, and then click on “Convert” to immediately convert it. It has a more attractive interface and also lets you play the video itself while you download the MP3 file. It also comes with a Chrome extension to convert YouTube videos faster. Above we have listed all the tools to easily convert YouTube videos to MP3. If you just want to quickly convert a YouTube video to MP3, then YouTube MP3 should be more than enough. However, if you have some other plans and looking to customize every bit of the conversion, you should go for ClipConverter. Which one of these tools you like? Do you know any other good YouTube to MP3 video converter? Share in the comments section. 9 Best Browser Dictionary Extensions to Find Words Meaning Online. 6 Best Internet Radio Services to Listen Radio Online. 11 Best Online PDF to Word Converters & Word to PDF Converters. Top 10 Best Free Audio Editing Software and Audio Editors. 10 Best Free Photo Editing Software to Edit Photos Like a Pro. Next: How to Resize Images in Windows Using Free Image Resizer Tools?